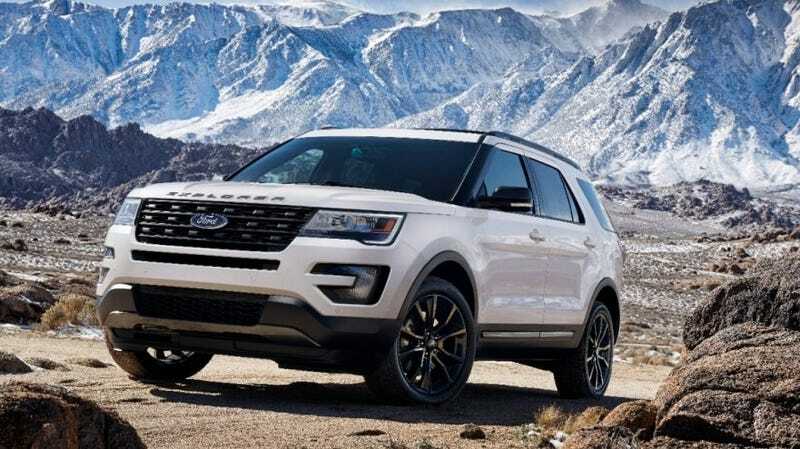 Ford, which has been dealing with hundreds of complaints for weeks over carbon monoxide levels in 2011-2017 Ford Explorers (even offering to buy one back), said Friday that they are offering to fix 1.4 million Explorers to prevent exhaust leaks. But don’t call it a recall! It’s not a recall, Ford says. Also, what carbon monoxide. Ford said its investigation has not found “carbon monoxide levels that exceed what people are exposed to every day” in the 1.4 million civilian vehicles. There is no U.S. government standard for in-vehicle carbon monoxide levels. Ford says it believes the vehicles are safe and is making the offer, which it is not classifying as a recall, in response to customer concerns. The second largest U.S. automaker said starting November 1, dealers will reprogram the air conditioner, replace the liftgate drain valves and inspect sealing of the rear of the vehicle. The fix covers about 1.3 million U.S. vehicles and about 100,000 in Canada and Mexico. In July, the Austin Police Department said it was taking dozens of Ford Explorers out of service, and the U.S. government has also been investigating the reported leaks. There has been over 2,700 complaints made to the National Highway Traffic Safety Administration, in addition to three crashes and over 40 injured in cases that may be linked to the leaks. Get your Explorer into the shop in November! Update: A Ford spokesman said that Austin police Explorers are being put back into service after repairs.